The famous and impressive Huayna Picchu (Wayna Picchu as the original Quechua name) mountain is one of the hikes you can do while visiting the citadel of Machu Picchu. This is the place where most of the popular pictures of Machu Picchu have been taken. But the panoramic view that you can have of Machu Picchu is not the only reason why you should do this hike. There are beautiful and interesting archeological rests there and you also be challenged for a complex but rewarding climb. First of all, you might wonder how to get a Huayna Picchu tickets. 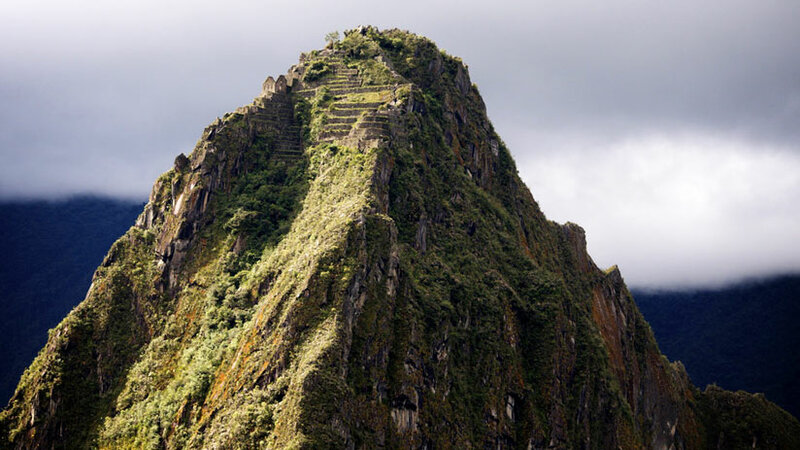 Maybe you have heard how complicated it can be to get a pass to climb Huayna Picchu. And it could be! Just a limited number of people can climb each hour due to the new policies of the Culture Ministry. So our advice is to book your tickets in advance. If you do so you won’t find any trouble to get a ticket. You can always go into the MachuPicchu.gov.pe webpage and check the availability and even buy a ticket online! That’s a very easy way to do it. On the other hand, if you’re traveling with an agency, it’s very likely that they will take care of everything. Just make sure that you send them your correct passport information. HOW TO HIKE HUAYNA PICCHU? When you climbing Machu Picchu and enter to the citadel , you will see how big and impressive it is. If you follow the path that leads you to the northern part, you will find the start of the trail. It’s behind the Sacred Rock. You won’t be lost. Here, you will have to register and show your passport, so please take this document always handy. Then, the hike will start! You will walk for about 15 – 20 minutes until you find two ways to follow. One leads you to the short trail and the other to the full one. 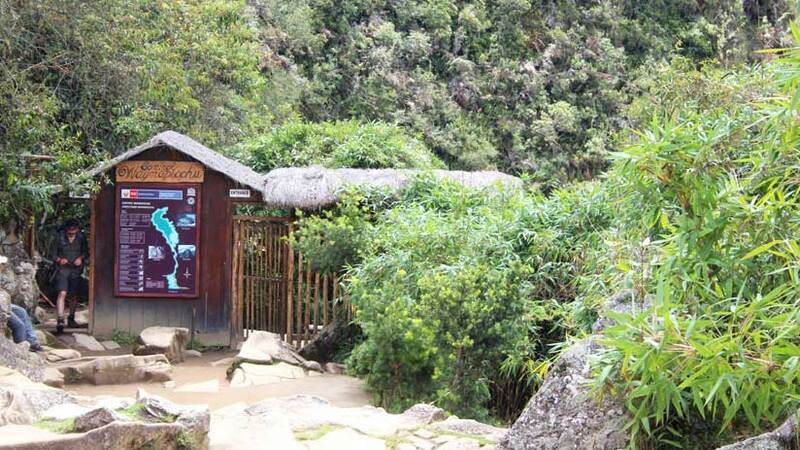 If you take the first, start the Huayna Picchu trek and you will reach the summit of Huayna Picchu in about 50 minutes. 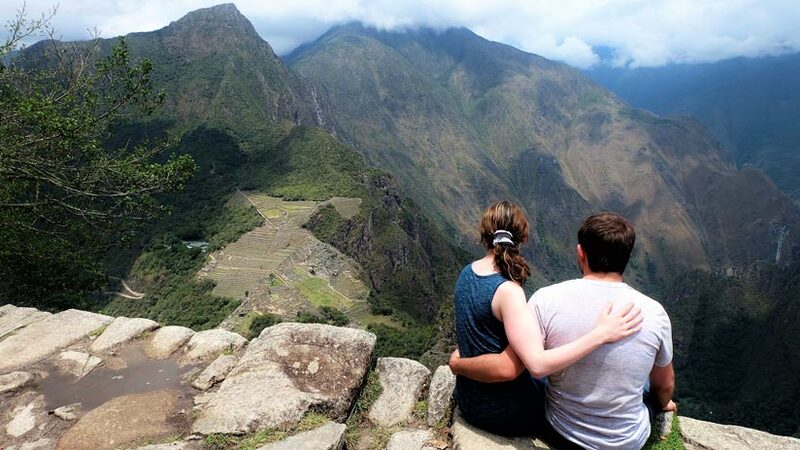 From there you will be able to see the magnificent views of Machu Picchu and the adjacent mountains. You can stay here for a while, take your pictures and rest from the climb. The way back takes 60 minutes. Here you have to be cautious as it can be slippery and narrow. If you’re a good hiker and want to experiment the complete experience of the Huayna Picchu Inka Trail, the long and complete trail is for you. It takes 3 and a half hours to complete. Here you can visit the Moon Temple as well. You can take the lower path around the base of the mountain towards this place. Then, after visiting this temple, you can take the path that heads to the summit. You can also start with the short trail and then go down towards the Temple of the Moon, in this case we advise asking the park rangers about the way for reaching as that’s not well signaled. WHAT ARCHEOLOGICAL SITES WILL I FIND IN HUAYNA PICCHU? If you do the long trail you will see the Temple of the Moon. This was a ceremonial temple in the Incas times. It’s done in stone and it has a cave form. In the middle of the place you will see a kind of throne, some experts say that all the stone work in this kind of religious places respond to the three deities: The upper world (Hanan Pacha), represented by the condor, like a heaven. The middle word (Kay Pacha), represented by the puma, symbolizing the earth. And the underworld (Ukju Pacha), represented by the snake, symbolizing the world of the dead or the unborn. Every detail you will see in the Incan structures have a deep meaning. This place is also called the Gran cavern, and it was name like that by Hiram Bingham. 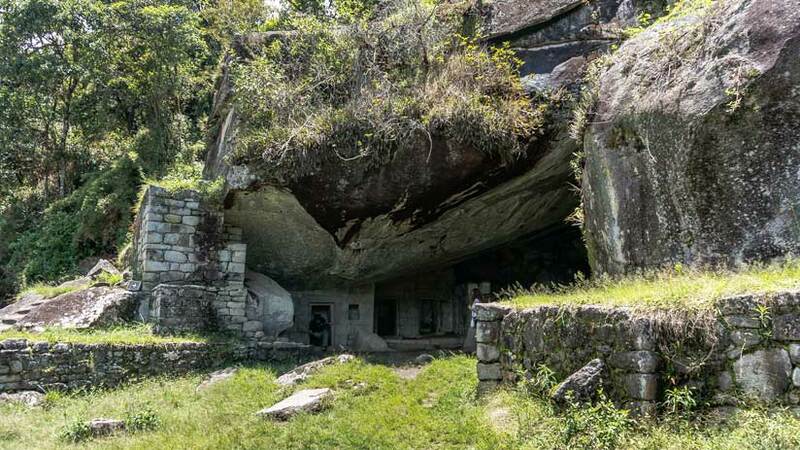 This is formed by two natural caves, various terraces and lithic structures. Finally, we would like to give you some piece of advice for visiting the great wonder of the world. First, take into consideration that reaching there can be a bit complicated. You have to reach Cusco City, then Ollantaytambo in the Sacred Valley and then take a train towards Aguas Calientes. From there, you have to take a bus up to the archeological site. As you see, it needs a lot of planning so taking this service with an agency or buying everything in advance, is a good idea. Second, if you want to make any hike or trail, consider that between January and April, it rains so it could make the walk more complicated and even, some roads are closed in February to avoid the accidents and to give maintenance also. Third, as Machu Picchu is not well communicated with the main city, it’s a good idea to take your water, snacks and everything that you should need. But please, don’t leave your garbage there! If you have any other question or want more Machu Picchu information or want to take a tour there with us, you can send us a message! We will gladly help you out. Peru Travel Tips, Travel To Machu Picchu, Travel To Peru adventure, travel to peru. permalink.